Move freely in breathable comfort. Designed for comfort, the Vuelta bib wraps your legs in four-way stretchable comfort. The shorts offer a little less compression than other styles, which doesn’t mean it lacks in support but rather offers easy flex for all types of riders. The Vuelta comes with our most-comfortable, long-ride chamois, the Motion AirGel. 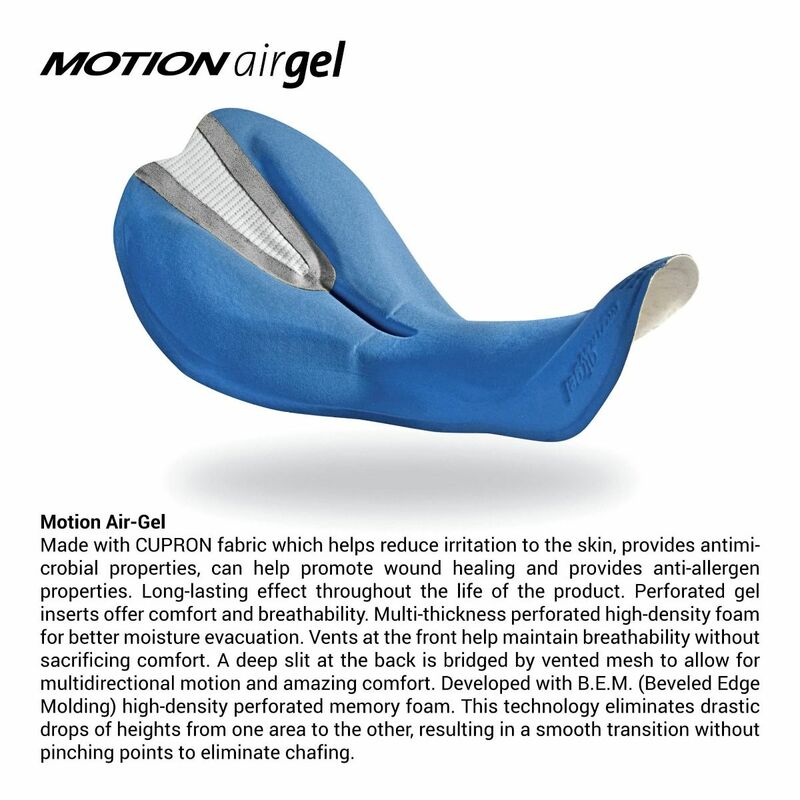 The Motion AirGel chamois has breathable gel inserts separated by a center channel. The top layer of the chamois is made of Cupron fabric which contains copper to help reduce irritation and promote wound healing.